That is the artistic task: To choose the best from these solutions. You will soon find that I am a bit obsessive about my work. And that is a little sad, one often feels strangely restricted, not finding time to simmer, although one actually has many interests. Almost every time I make a building, some people will condemn it straight to Hell. I am going to be working on bathroom fittings for a company in the USA, and then I thought it was appropriate to simplify the fittings and, thus, lowering the cost. I have no philosophy, my favourite thing is sitting in the studio. On the other hand, I don't understand the enthusiasm for everything in the antique shop that Grandma threw out. There, the sense of quality has declined; otherwise Grandma wouldn't have thrown it out. People buy a chair, and they don't really care who designed it. He fled Denmark rowing a small boat across Øresund to neighbouring Sweden where he would stay for the next two years. On that trip he was struck by the pioneering aesthetic of Le Corbusier's L'Esprit Nouveau pavilion. Craig Miller author of "Design 1935-1965 What Modern was" Jacobsen’s work "is an important and original contribution both to modernism and to the specific place Denmark and the Scandinavian countries have in the modern movement" and continues "One might in fact argue that much of what the modern movement stands for would have been lost and simply forgotten if Scandinavian designers and architects like Arne Jacobsen would not have added that humane element to it". 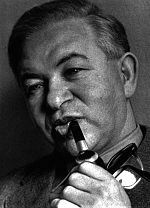 Arne Emil Jacobsen (11 February 1902 – 24 March 1971) was a Danish architect and designer.